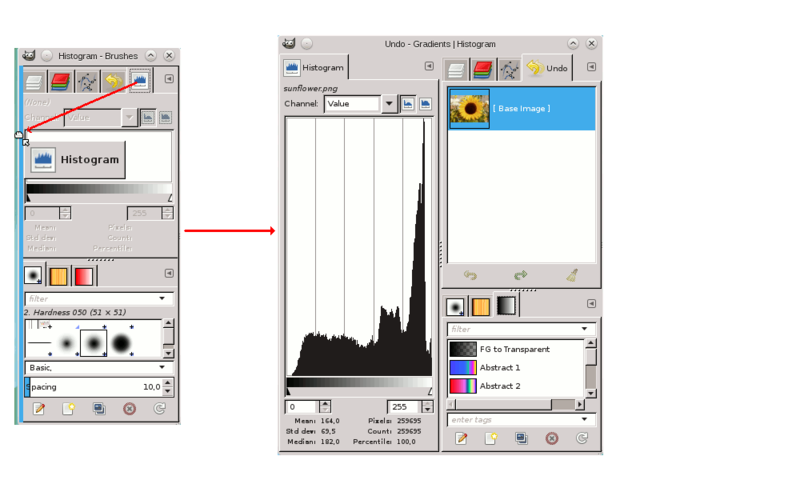 GIMP has great flexibility for arranging dialog on your screen. A “dialog” is a moving window which contains options for a tool or is dedicated to a special task. A “dock” is a container which can hold a collection of persistent dialogs, such as the Tool Options dialog, Brushes dialog, Palette dialog, etc. Docks cannot, however, hold non-persistent dialogs such as the Preferences dialog or an Image window. 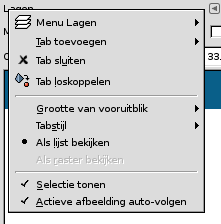 More simple: the Add tab command in the Tab menu Paragraaf 2.3.2, “Tabmenu”. Figuur 3.9. 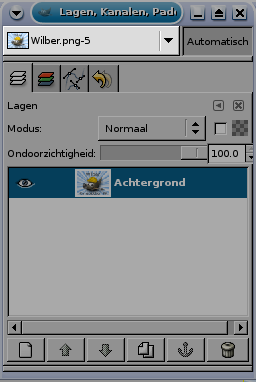 A dialog in a dock, with the Tab menu button highlighted. Figuur 3.10. 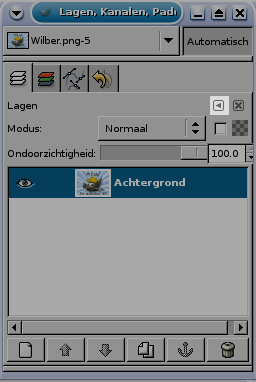 The Tab menu of the Layers dialog. Figuur 3.12. 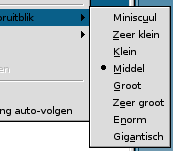 Preview Size submenu of a Tab menu. Figuur 3.13. Tab Style submenu of a Tab menu. When the tree-view is View as List, you can use tags. Please see Paragraaf 3.6, “Tagging”. Figuur 3.14. The list search field. The search field shortcut is also available for the tree-view you get in the “Brush”, “Font” or “Pattern” option of several tools. Figuur 3.15. 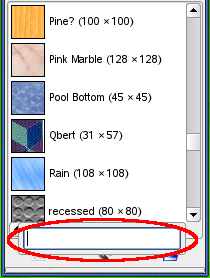 Button Bar on the Brushes dialog. Figuur 3.16. 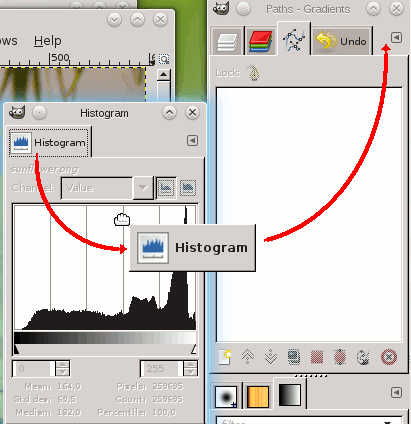 A dock with an Image Menu highlighted.